Last Friday night, a historic season for the Culver City Centaurs football team came to an end. 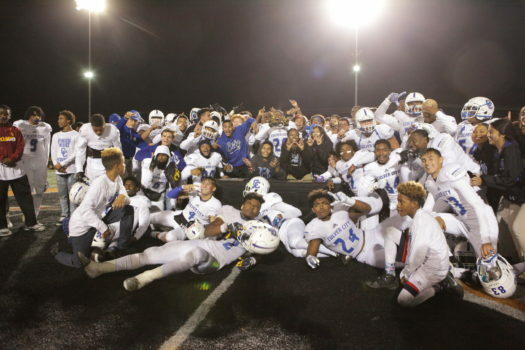 A 54-42 loss to Lincoln High School ended the Centaurs’ hopes of winning the program’s first state championship, but the season was nevertheless a success. After a 2017 season in which Culver lost a heartbreaker to Covina High School in the CIF D-11 Semifinals, the Centaurs fulfilled their goal of redemption by winning the 2018 CIF D-7 championship over San Jacinto. This championship squad became the first Culver team since 1978 to win a CIF Division title, and the first ever to advance to the state playoffs. As any dream season goes, Culver’s journey to the title did not come without challenges. Culver lost 2 regular season games against Palos Verdes and Lawndale, and finished 2nd in the Ocean League behind Lawndale. Despite these losses, Culver managed to put the pieces together in time for the CIF Southern Section playoffs, where they outscored their opponents 199-72 in a stretch of 4 games, en route to a championship. Numerous individual and team records were also set throughout the season, as sophomore quarterback Zevi Eckhaus lead an offense that gained over 7,000 total yards, and scored over 100 total touchdowns on the year. Although Culver will graduate many key players by next season, the team seems poised to make a run for another championship.